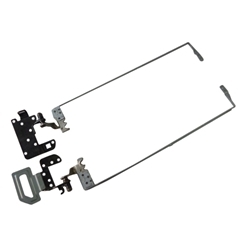 Description: New Acer laptop right and left lcd hinge set. **Non Touchscreen Version only. If your laptop came with a touchscreen this is not the correct hinge set. Part #'s: 33.ML9N2.004, AM154000B00, AM154000A00.